1. Get a doll with a plastic head. They sell good, cheap ones at CVS, Rite Aid, and places like that. 3. 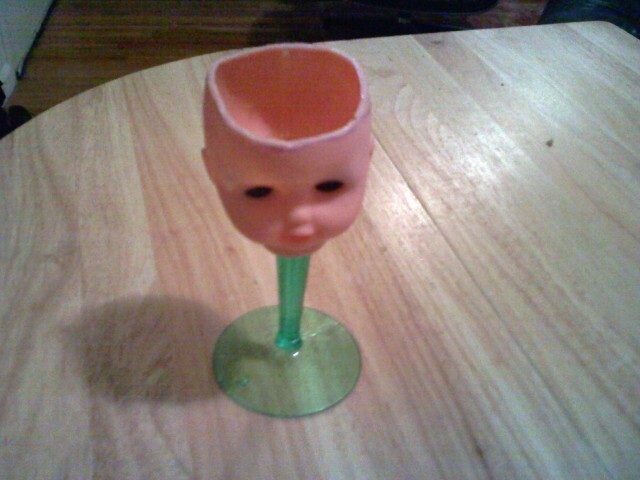 Cut off the doll’s head. 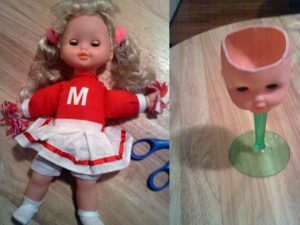 If it’s a doll like the one I got — a cheerleading one from Rite Aid that chants “cookies, cookies, cookies ‘n’ cream” — it has a soft body and a hard plastic head, so you can just cut the cloth away from the body and it comes off easily. 4. Now that the head is off the body, play with the hair — you only live once.